Hydrogen energy, a clean source of fuel that does not release carbon dioxide, could soon replace traditional energy sources, said experts at a recent conference on hydrogen energy and fuel cell technology development in Beijing. In recent years, hydrogen technology and products, especially hydrogen fuel cell vehicles, have made significant progress in many countries such as the United States, Germany, Japan and South Korea. Large-scale commercialization of hydrogen energy is on the way. Statistics show that by the end of 2017, China had about 10 hydrogen fueling stations in operation and 20 more under construction across the country. China plans to speed up the development of its hydrogen economy, ready for a future age of hydrogen energy. The country has outlined plans to encourage the development of hydrogen energy and fuel cell vehicles. 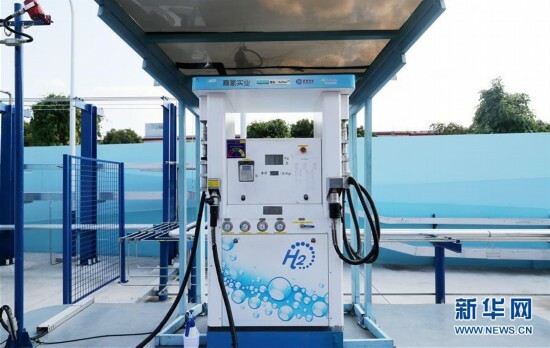 Commercialization of hydrogen fuel cell vehicles has been realized in many cities including Shanghai and Zhengzhou, capital of central China’s Henan Province. The industry of hydrogen energy and fuel cell technology is attracting more investment from well-known automobile companies and traditional energy companies. The industry rise in China will promote research and development of hydrogen energy and fuel cell vehicles around the world, and thus, China will achieve a hydrogen economy boom, said Zhang Weidong, a project manager at the United Nations Development Program.